Ascension is merely a term that defines humanity’s natural evolution into a higher frequency vibration. This increases your ability to discern other higher vibrating frequencies (currently invisible) and to understand the connected nature of life, as well as your cosmic citizenship. Ascension is a state of rapid evolution. 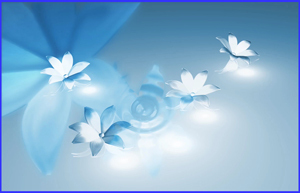 Lightworkers on a path of empowerment and Love, are technically focused on Ascension. The Ascended human has a symbiotic heart/mind balance that opens the full capacity of the biomechanism as a divine vehicle. In its simplest form, Ascension is the integration of the Higher Self (higher frequency, subtle you) with the physical. It is a journey of becoming free within yourself by recognizing your inherent Divinity and deliberately experiencing and creating this world from an empowered Divine Human perspective. 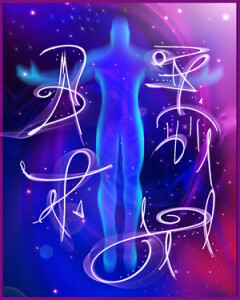 Ascension is an emotional, physical, mental, and spiritual journey into balance and wholeness. Becoming empowered from within, instead of just controlling or reacting to outer experiences, is imperative for humanity’s evolution. It begins within you. 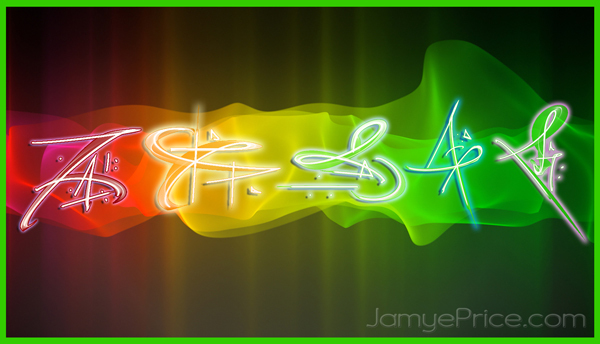 For Ascension Support, consider Jamye’s Newsletter to receive the Weekly LightBlast and Monthly Energies with Light Language healing video directly. Other products and services are also available. As you move beyond survival fears, you develop your brain into “new” capacities and focus on other details of life. Your physical and intuitive senses help you discern the frequencies that are all around you. As you clear your emotional, mental, spiritual, and physical blockages, you are increasing the speed of your evolution and opening access to new levels of awareness. Throughout Ascension, every aspect of Life becomes whole, connective, creative, and loving. Any unseen agendas or insecurities are compassionately exposed for resolution. Each being is given an opportunity to recognize and release any blocks to their empowered Love. Their soul may press a little harder if they don’t hear the call to Love, but every experience is an opportunity to evolve. Ascension is a magnificent and natural experience, though not every moment of it is easy. 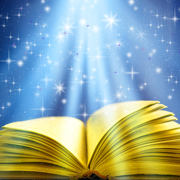 The Language of Light is an effective catalyst for Ascension because it naturally conveys information of connection which then unfolds from within you. This has the implication of empowering you as you discover your innate intelligence within. 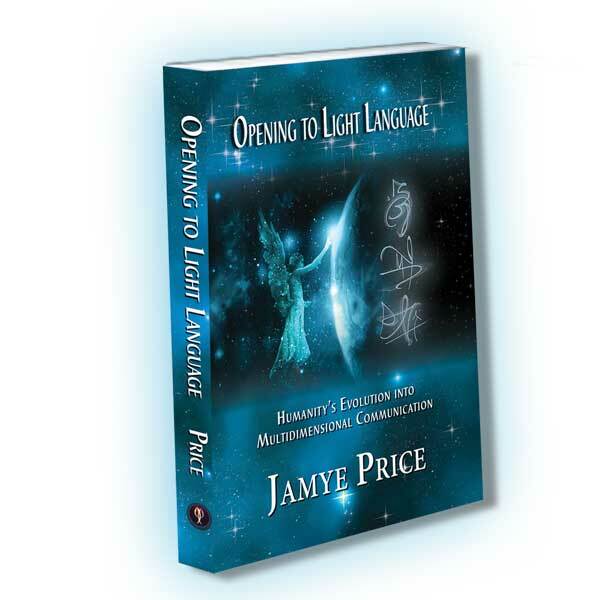 The expansion of Light Language on Earth indicates humanity’s growth into more connective and conceptual communication, as well as telepathic communication. Everyone has such a unique perspective that the information of each is valuable. As you interact with Light Language, your Higher Self is releasing blockages and activating new vibrations that assist your evolution. 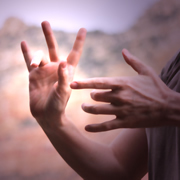 Because Light Language bypasses the mental constructs and speaks directly to your connective heart, your Higher Self utilizes the codes as appropriate each time you interact with Light Language. Any information you need to understand to improve your life comes into your conscious mind eventually, either from within or from an outside source, reminding you that Life is supporting your growth in wonderful ways. Ascension is a continual process of upshifting your vibration into a higher frequency. This process can be exciting and uncomfortable. When you begin to recognize the patterns, you have greater ability to ease the process by letting go of resistance, as well as making physical, mental, or emotional adjustments to increase the flow of your vibration. When medical or psychological assistance is needed, pursue it. These Ascension upgrades can be confounding to those that are new to it, or to those that are resisting the internal work. The exciting ones; like visions, dreams, synchronicities, and psychic experiences are easy to deal with, so we will focus on recognizing the challenging ones. Your empowered strength is valuable to you and humanity as a whole. To those that are familiar with the Ascension process, it may be an uncomfortable experience at times, but one that you know will pass (quickly) and result in a stronger foundation of Love. There is a detached observation, even with the discomfort; thereby diluting the frustration, fear, or any other challenging emotion coming up. Often when we have a vibrational change, it comes in a few ways. Sometimes there is a blissful experience, like a vision or a relationship. Then the vibrations that are not in resonance with the higher vibrating experience come to the surface for release. Sometimes that release requires new action choices on your part; like forgiveness, standing up for yourself, or acquiescing to another rather than controlling. In essence, Ascension is healing within and connecting more fully to Life on Earth with a new, broader, and empowered perspective. The other way that Ascension upgrades occur is with a sense of discomfort (physical, emotional, or mental Ascension symptoms) and then relief when the intense external upgrade is complete. There is often the same sort of action steps required (though not always with this kind of upgrade) and sometimes they are immediate, sometimes they come up over time. Whether an Ascension upgrade comes in the form of an experience or an external factor, your balance will be shown to you as your ability to deal with it with relative ease. Your imbalance will be shown to you as difficult relationships, manifestations, emotions, or physical symptoms. Both require healthy surrender to the circumstances, as well as personal observation of what you are needing to shift with action steps (all action is internal first!) and make choices in your mental, emotional, and physical life that effect change. It always starts within. Be sure you are not punishing yourself for a negative circumstance! It is a perfect opportunity for your empowered Love! As humanity moves into higher dimensional expression, Life adjusts and changes. It is not a giant leap of extreme difference, it is an evolution of change through the appropriate timing. The physical body changes, the habits of eating, exercising, rest, play, relationship, and sexuality change. Some Ascension symptoms are interesting, others are annoying and some can be scary. It is important to balance the wisdom of using all available resources to best serve your needs. It is also helpful to honor when you need to “cocoon” away because the energies are too intense, and when you need to rise into your power and strengthen yourself to deal with the earth plane. Ascension isn’t about only happy people in Nirvana or all the good people getting beamed up by benevolent aliens or Jesus (same story, different players). 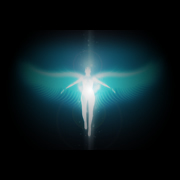 Ascension is about courageous Earth Angels, Starseeds, Elemental HUMANS changing Earth. From here. Right now. 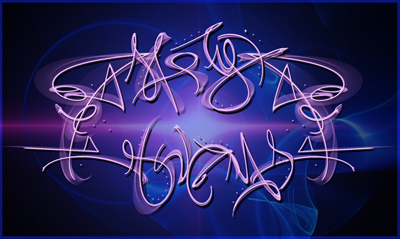 While I will list some Ascension symptoms, know that as you become adept at easy emotional and mental flow, joy based in reality, and reading the clues that life is giving you about your path of progress – your symptoms pass. 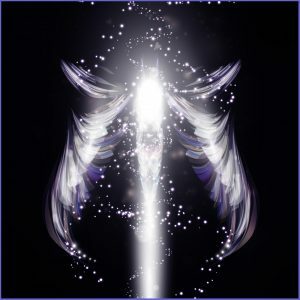 Some Ascension symptoms are indicating a blockage or weakness you have, others are just reactions to an influx of solar or cosmic energies. Be strong, yet sensitive. Be compassionate, yet empowering – with yourself and others. I recommend soaking in water, laughing a LOT, crying, too. Eat well, rest well, and play. Find deeper aspects of Love for this human condition. It becomes more unconditional through your empowerment. Not avoidance, not blinders; but some good healthy rose colored glasses of a higher potential! Ascension symptoms pass fairly quickly, usually within a few days. To mitigate the effects, balance your system holisitically. Rest, exercise, eat healthy, think healthy thoughts, play, and rejuvenate. Enjoy life more, look for the silver lining more, forgive more, stay balanced in reality while focusing on the positive. Meditate, remind yourself how capable you are, pursue more creative outlets, get out in nature, etc. If you find Ascension symptoms lasting, you are not releasing enough discord. Not everything is an Ascension symptom, so seek assistance where needed. It’s a fascinating process. Enjoy it! Even the challenges pass. Ascension is a process of physical change for your body, much of that in the subtle realms. It is a path of empowerment. It is individual for each person. It is exciting and sometimes annoying or frustrating, yet worth the effort. You become more joyful, challenges roll through or past you more easily. You access information and understanding about life, your creative power and how to change this beautiful, challenged world. You are a valuable, cherished part of Life. Ascension has been my passion for over a decade. As a channel I have been bringing through information and teaching about Ascension that I apply into my life and through my work with clients. I still maintain my focus on my own personal healing in order to enhance my own clarity and consciousness. I teach empowerment and being grounded in reality to the extent that human Life is elevated instead of resisted. If you are interested in your own Ascension, I have many tools that may assist you. All of my work is accessible from anywhere in the world via phone or Skype. I can’t do it for you, but perhaps I can help Light the way when the path seems insurmountable.